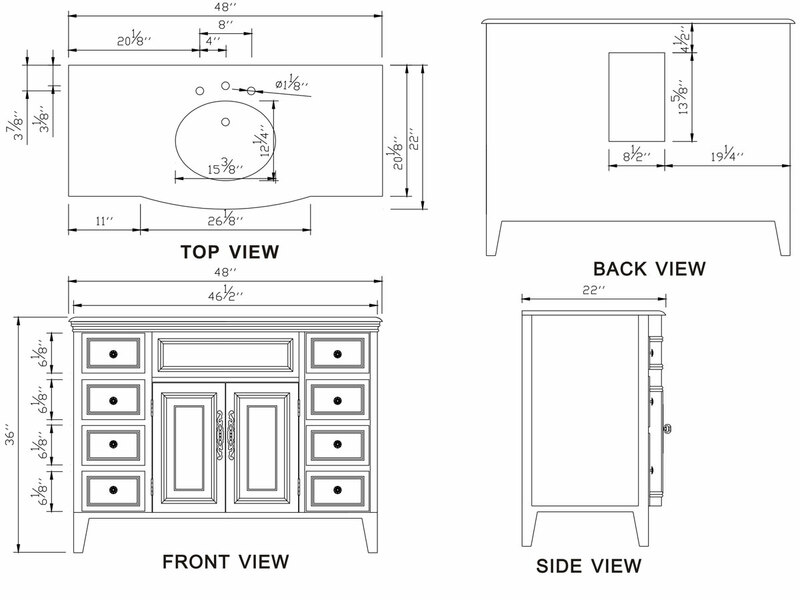 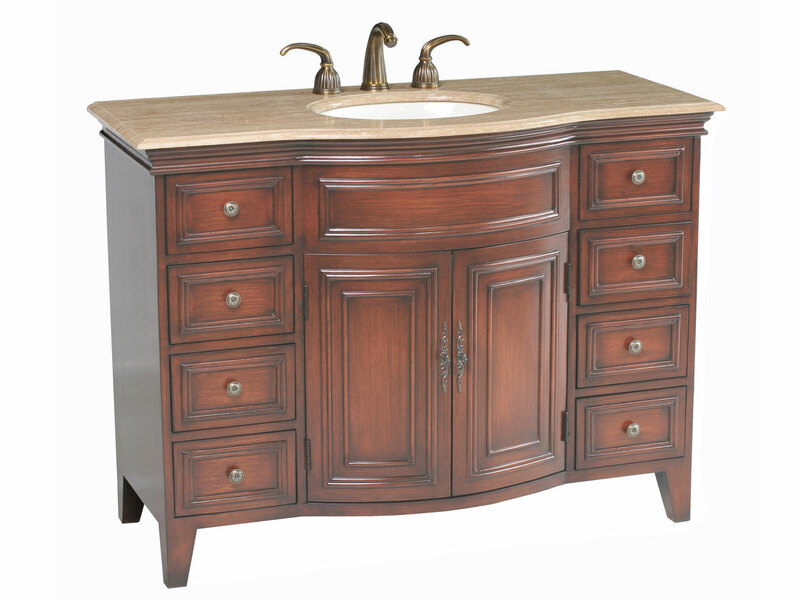 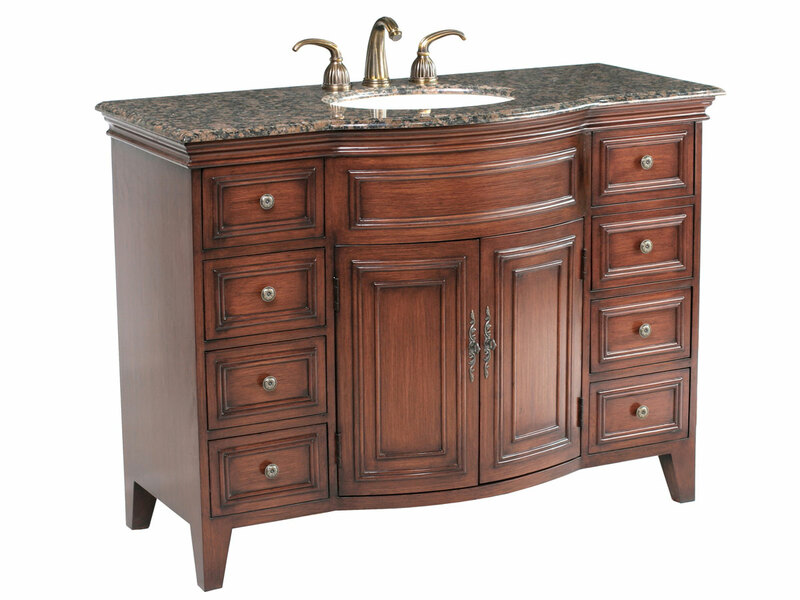 The 48" Theodore Single Bath Vanity is a great addition to a bathroom with too much space. 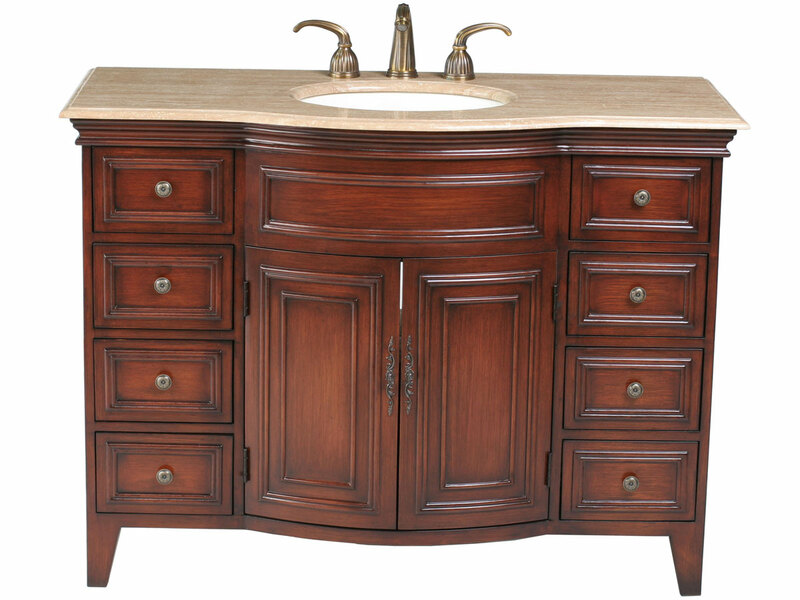 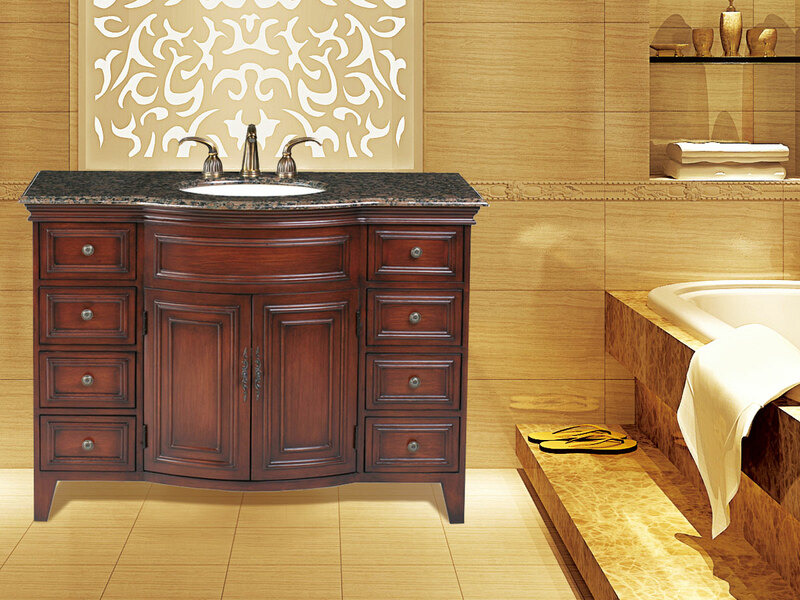 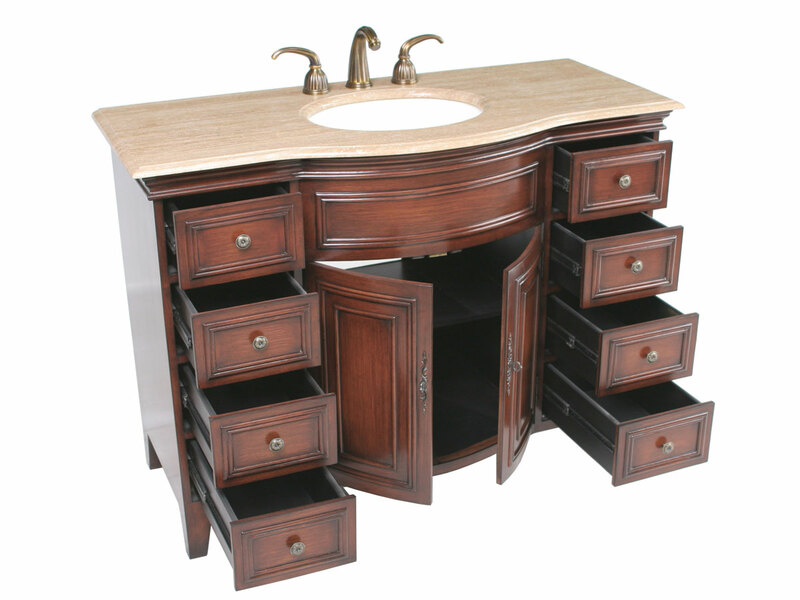 With its large countertop and beautiful shiny Dark Cherry finish, this vanity will captivate all who enters the bathroom. 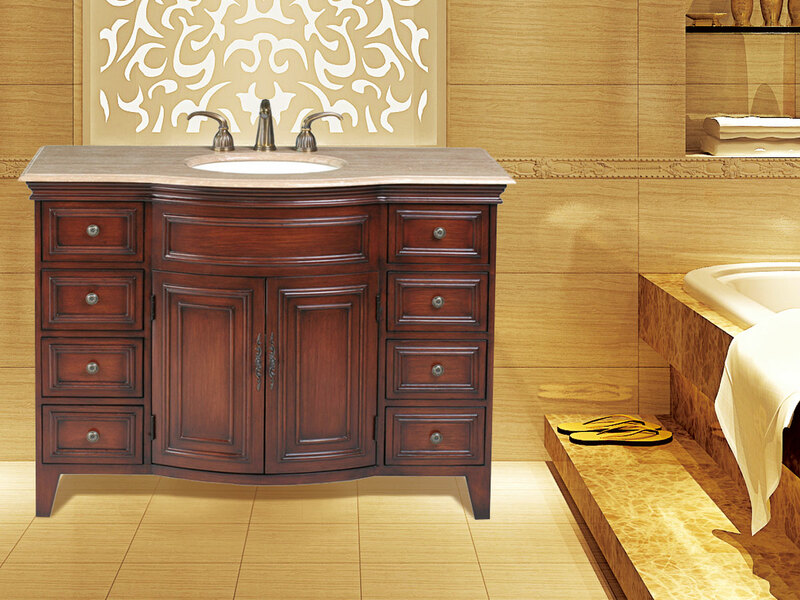 The refined look of its simple style adds an inviting ambiance to the bathroom, while giving you plenty of space to store things with its 2-door cabinet and 8 spacious storage drawers. 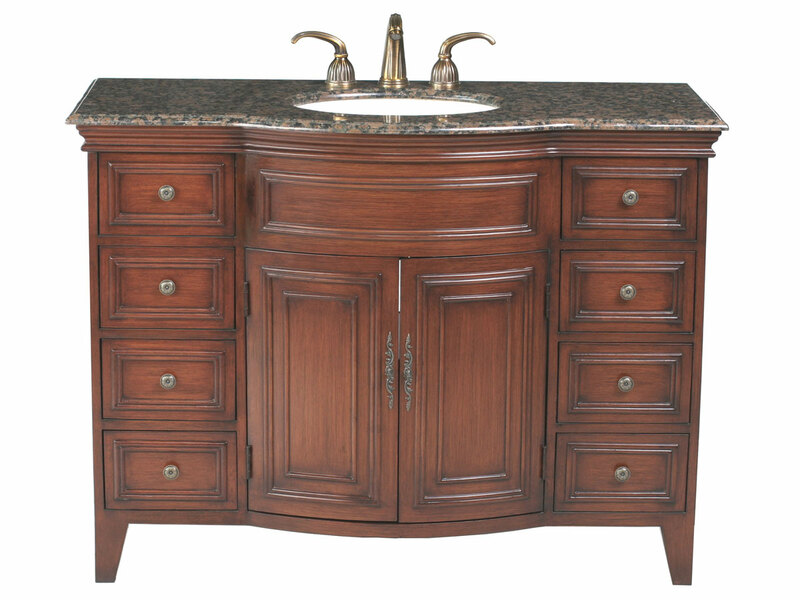 The curved central portion of the cabinet gives it an elegant, unique look that will give your bathroom a fresh look you've been looking for. 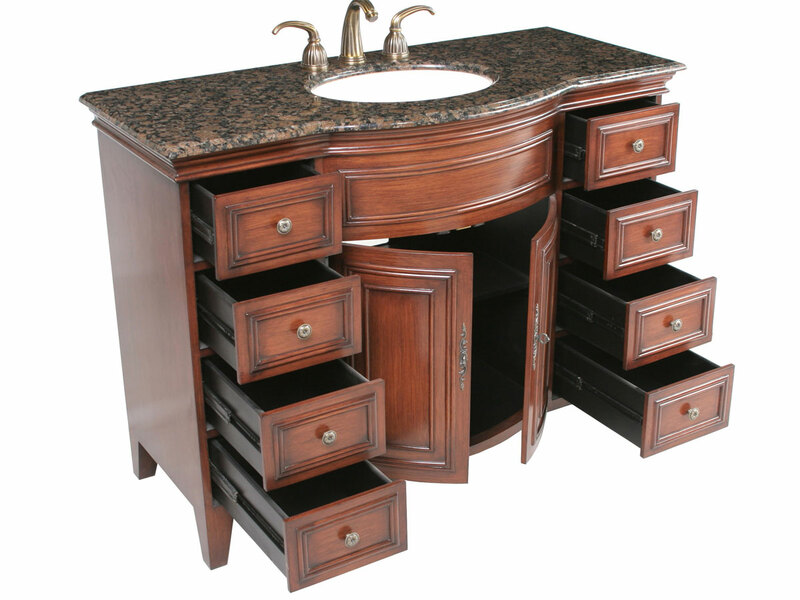 Choose from a Baltic Brown granite or Travertine top.